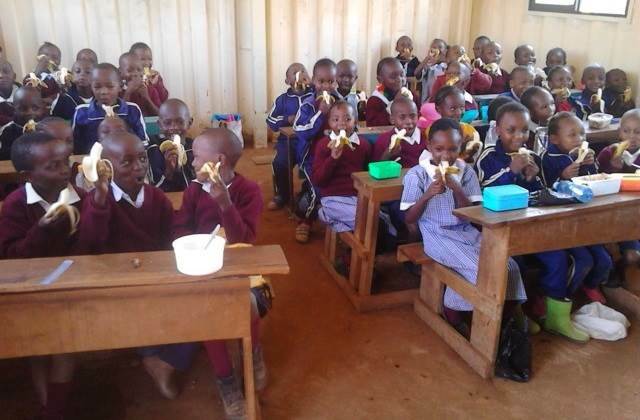 At the beginning of this term, the children at Heri Junior started to receive fruit each day along with the Uji that they have been receiving for the last 6 months. The fruit will provide the children with many essential vitamins and nutrients. The cost of hidden hunger (micronutrient deficiency) in Africa is high both for the individual and the community causing compromised immune systems and impaired development. A key aim of the Porridge and Rice feeding and nutrition program is to ensure that the pupils at Porridge and Rice schools receive the nutrition required for healthy development. 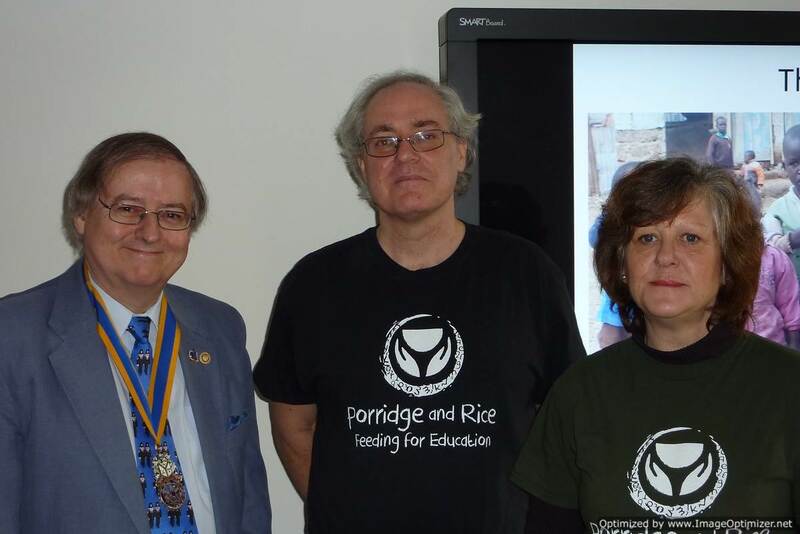 Ken Surridge and Deborah Sage attended the weekly meeting of Twickenham Rotary Club at Fulwell Hill Golf Club to address members on the work of Porridge and Rice. The presentation generated numerous good questions and discussion spilled over into lunch time. It was an excellent afternoon. The company was good, the food was tasty, and more people now know Porridge and Rice. If you know of any group that may be interested in a talk on the work of Porridge and Rice, please contact the charity. The more the charity is publicised, the more it will grow and succeed. Thank you in advance. 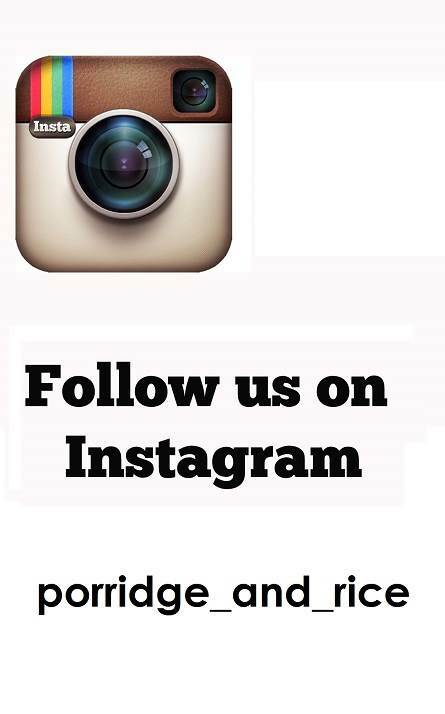 Thanks to Femke Simms, Porridge and Rice is now on Instagram, and the charity already has over 100 followers. At a time when social media is an integral part of people's lives, it is of great benefit to the charity to be present in these spaces. Porridge and Rice now has a presence on Facebook, Twitter and Instagram with its followers growing steadily. If you are present on Facebook, Twitter, or Instagram, please follow and like the charity. Thank you Femke for setting up Instagram. The first Soup and a Roll was held at Deborah Sage's home at lunchtime on 15 January. Seven people attended to listen to a presentation on Porridge and Rice followed by tasty soup and fresh bread rolls. The event was a huge success resulting in the sponsorship of a pig and 4 chickens, plus some generous commitments to the charity. Thank you to all who attended and to Deborah for hosting the event. 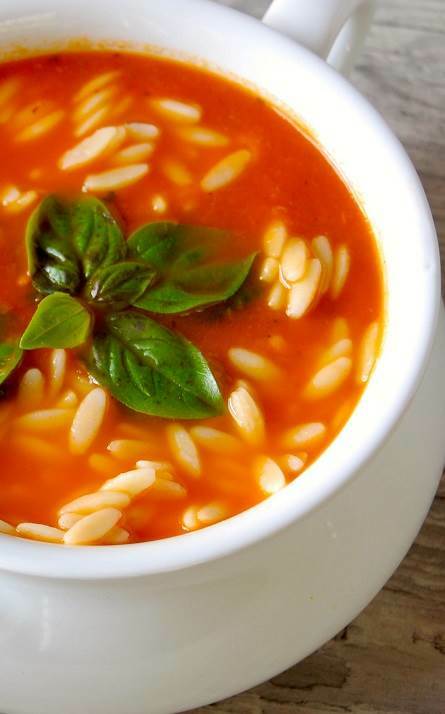 If you would be willing to host a soup and a roll event, please contact us. Esme Trice has signed up for the Swansea Half Marathon on June 26th to raise money for Porridge and Rice. 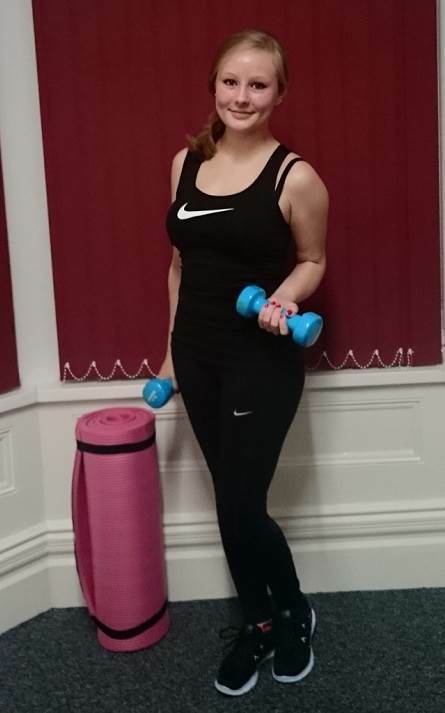 Esme has been training regularly to get fit for the event. She has improved her stamina, her strength and lost weight as a result of work outs. Esme has already raised £265. There is plenty of time to go, if you wish to sponsor her. Please visit her page to see how she is doing. Well done Esme. What could you do to raise money for Porridge and Rice? As part of the sustainability program, Porridge and Rice aims to have 4 to 5 sows and 1 boar by the end of the year. It costs £250 to buy a pig for breeding, and one person has already sponsored the first pig. A sow has around 10 to 12 piglets a litter, and can be bred safely twice a year. 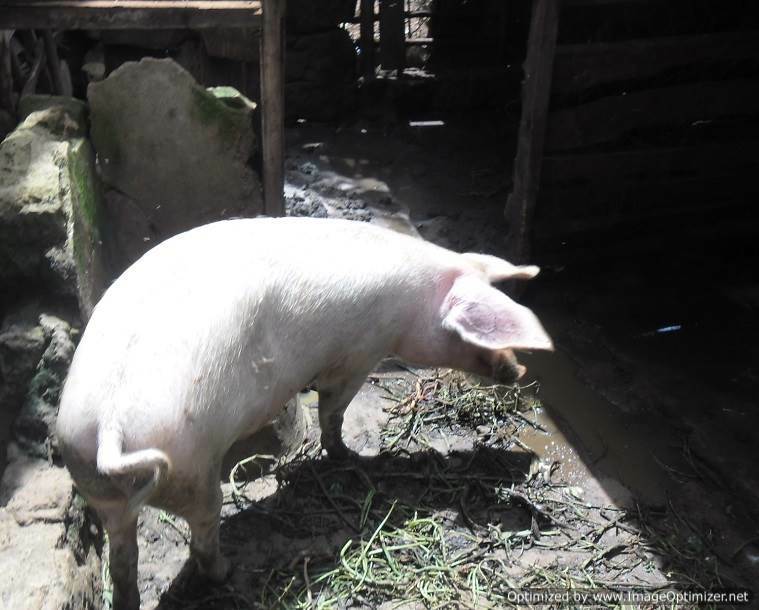 As the demand is high, pigs have big potential as a source of funds for Porridge and Rice schools. Mrs Angela Pope has sponsored a pig in memory of her late husband John who loved pigs. She has named the sow Flump and Flump will be joining the Porridge and Rice family shortly. Thank you Angela. Flump will be loved and cherished. Viv Sage is an active committee member of the Porridge and Rice team and Head of HR at New England Seafood. 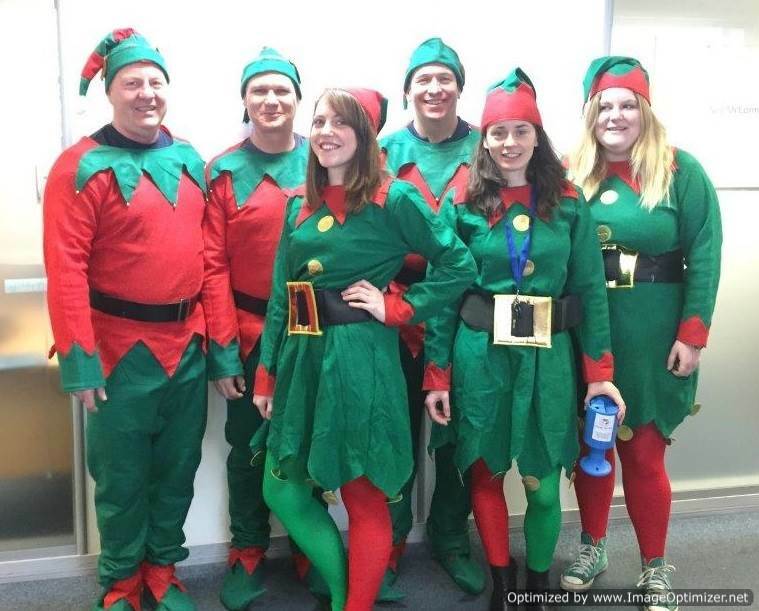 Before Christmas, Viv and his team dressed up as elves to celebrate the season. In their festive dress, the team held a collection for Porridge and Rice among the staff at New England Seafood. Porridge and Rice is dependent on the generosity of people and organisations. It is with enormous gratitude that the charity receives donations from people. Without the continued generosity of supporters, the work of Porridge and Rice would come to a grinding halt. Thank you, thank you, and thank you. Three people of the Porridge and Rice team are travelling to Kenya for 2 weeks in the second half of February; Emma Ballinger, Jude Hanlon, and Ken Surridge. 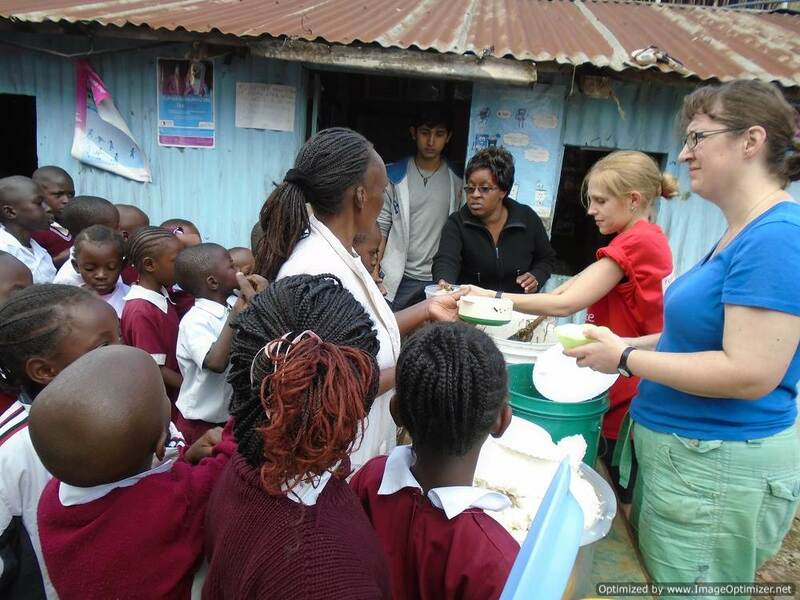 Visiting Kenya, enables the team to understand what works and what is needed. It makes Porridge and Rice more effective. In addition, it is good to catch up with people on the ground who are always warm and welcoming. The team has a long list of tasks to complete while in Kenya. It will be a busy and productive trip.